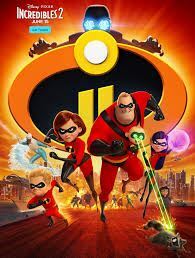 See INCREDIBLES 2 at Marcus South Pointe Cinemas. REGISTER to receive paid admissions for STAR member, one friend and one adult. STAR member and friend will receive vouchers for one soda and one popcorn, compliments of DSAF! PLEASE REGISTER BY JUNE 22 TO ATTEND! DSAF will pay admission for Super Star (school-aged) member, a friend and 1 adult. Additionally, the Star member and friend will receive vouchers for a popcorn & pop! Please register only if you feel certain you are able to attend - DSAF must pay for all registrations regardless of cancellation or no-show. Thank you for your understanding! For more information about THIS event or to volunteer to help with the NEXT, please contact Lexi at wolfe.lexi@gmail.com or Liz at eldrenliz@gmail.com.